« The BIG SOUND Vancouver – 26 piece soul orchestra live! The WISE is excited to continue showcasing the work of local visual artists from East Vancouver and beyond. The project aims to increase exposure for participating artists, reinforce positive associations with the local arts community, and increase lounge ambience. 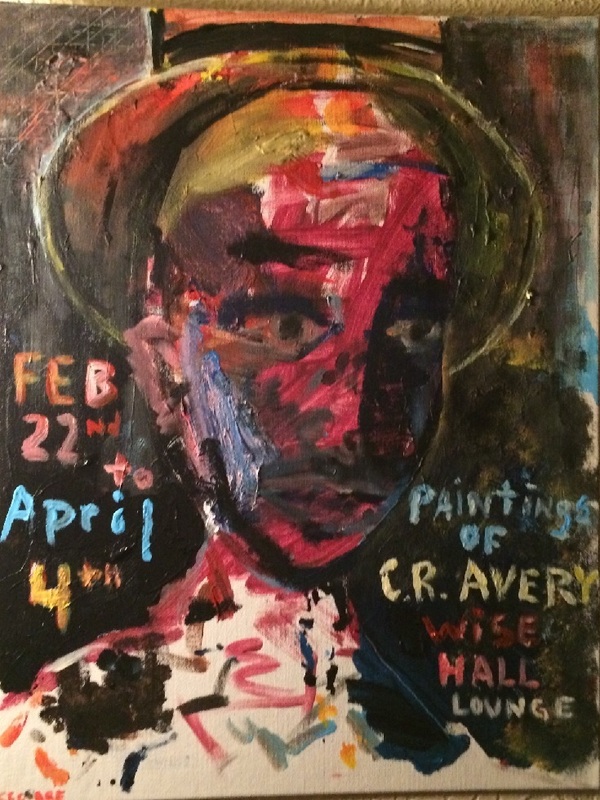 We are thrilled to showcase CR Avery for the month of February and March in the WISE Lounge. cue the frenzied combo of molar and spit. his tongue touches every chroma on its way to blue. he’s been rinsing with gravel, flossing with wire and chewing brick again, he’s been a bad, bad boy. but he is crackerjack conjurer of washboards and rubber, even suburb girls welcome the twinging. i want to nibble yesterday’s corona from his chin, rub my index finger along the surface of his laugh, pull the maw open to check the slick road of his throat. there’s something illegal going on down there, the sweet keening of ancient instruments. the orchestra is fidgety, click-hipped, steaming inside that skin. the boy opens the beauteous and, in gut rendering, words become both otherwise and everything.